Home »Prof. Dr. Ir. Muhammad Agus Suprayudi, M.Si. Born in 1965. Dr. Ir. 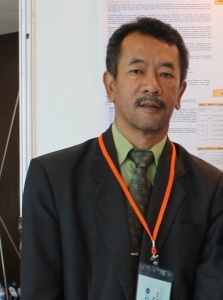 Muhammad Agus Suprayudi, MSi is The Head of Aquaculture Department, Faculty of Fisheries and Marine Science, Bogor Agricultural University since 2017. 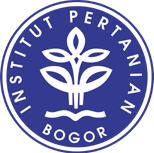 He graduated his Fisheries Bachelor's majoring in Aquaculture in Bogor Agricultural University in 1990 and then he completed his master study in Biochemistry in 1997 in the same university. Doctoral study was complete in 2004 in Tokyo University of Marine Science and Technology, Japan. He has been studying and performing research in feed additives for aquafeeds, and raw material proscessing and he has published some scientific papers in reputable national and international journals. He also interests in Assessment and Improvement of shrimp culture technology. Suryadi Saputra, Muhammad Agus Suprayudi, Enang Harris, Mia Setiawati, Widanarni, Suciantoro. 2016. Evaluation of microbial floc and microalgae Spirulina platensis combination for juvenile cobia Rachycentron canadum diets on growth and physiological responses after immersion in freshwater. Jurnal Ilmu dan Teknologi Kelautan Tropis, 8(1): 227-235. Diah Ayu Satyari Utami, Widanarni, Muhammad Agus Suprayudi. 2015. Administration of microencapsulated probiotic at different doses to control streptococcosis in tilapia (Oreochromis niloticus). Microbiology Indonesia, 9(1): 17-24.